Like every genre, Gunpowder Fantasy is a category with a lot of variation. From the level of technology, to the existence and power of the magic, every author will have his or her own take on Gunpowder Fantasy. 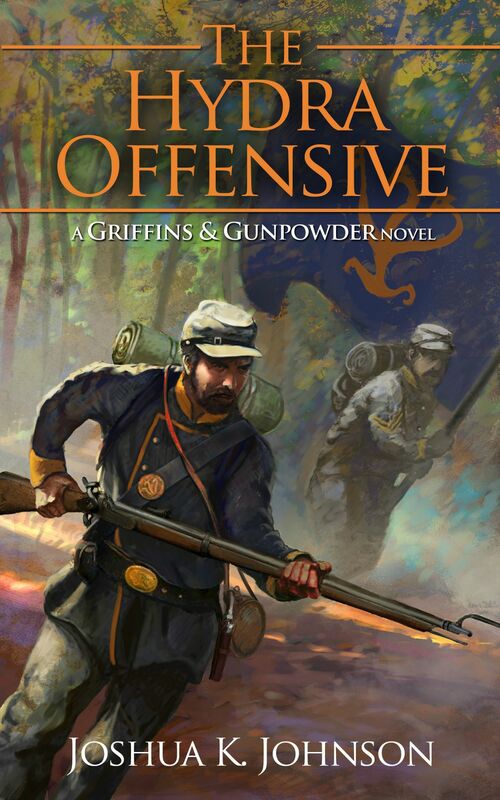 But like other sub-genre’s, Gunpowder Fantasy can be divided into a few simple groups: Flintlock Fantasy, Muskets and Magic, and Rifles and Railroads. As with anything, there will be some variation, but for the most part I think that these three categories can be based primarily on the level of technology used and secondarily on the amount of magic involved. Flintlock Fantasy covers worlds created with early gunpowder era technology: flintlock rifles, no steam power or telegraphs. These stories will also tend to use less magic or no magic at all. While not necessarily jumping far ahead of Flintlock Fantasy in their use of technology, worlds built of Muskets and Magic will tend to have a greater focus on the magical aspects of their worlds. Rifles and Railroad novels fall on the higher end of the technology tree. Railroads are common, steam ships may be introduced and rifles are the primary weapon of choice. In some cases, repeating or revolving weapons will be used. Obviously these sub-categories are only my interpretation of how Gunpowder Fantasy has developed, but I think it’s definitely a start to classifying this increasingly popular new area of fiction. Which Point of View method an author decides to use when writing his/her book is often based on what story the author wants to tell and which POV will allow the author to do that in the best way. For my works, I almost exclusively gravitate toward 3rd Person (Limited); that is: a story told from an outside point of view but where the information conveyed is limited to the knowledge of the target character. I think that my fondness for this format springs from the fact that I’m very heavily read in 3rd(Limited). David Weber and George RR Martin make heavy use of 3rd(Limited) and I have more books by Weber than any single author. It isn’t that I find anything wrong with 1st person POV, I’ve just found it very difficult to finish first person novels lately. I have decided to at least try to write a novella or a novel in the first person but for now I think I’ll avoid that. For The Cerberus Rebellion, I decided to take a page from George RR Martin and use a multiple character approach to the 3rd(L) POV. With a multi-pov I’m able to give my antagonist a voice and shown why he does what he does. I chose the Limited rather than the Omniscient (wherein the author “head-hops” into the mind of various involved characters) because it helps maintain some mystery to the events that are taking place. I think that many stories would be far less interesting if we were able to read the thoughts of every character involved. What is your take on pov? One of the problems that I’ve come across already is the lack of previous work in this area. 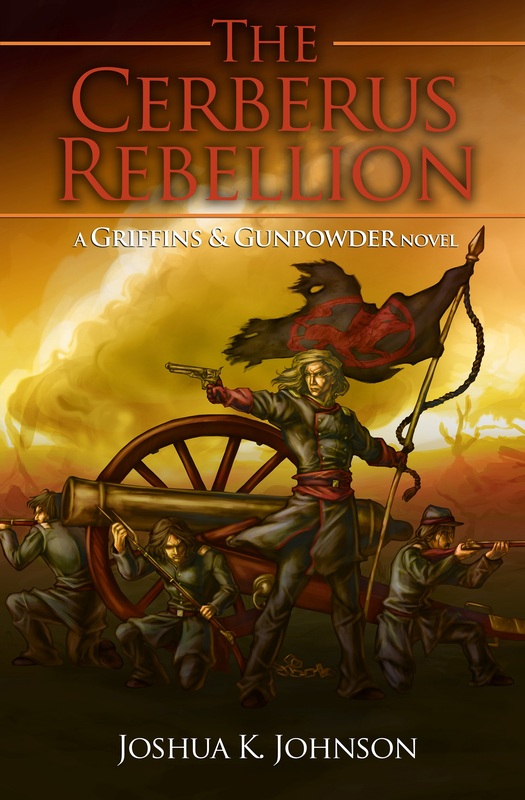 There are a handful of books that have used this sub-genre title and I’m sure that there are other previous works that have integrated gunpowder into a typical fantasy setting. The problem of course is finding those works. So in writing my Gunpowder Fantasy, I’ve had very little in the way of other work to compare mine too. I think this will probably work to my advantage as I will have a completely clean slate to work against. I don’t have many preconceived ways to integrate the magical elements of my world with the rest of my world.